The new optical capability of Qube Opto introduces the possibility of employing optopharmacology in combination with patch clamp in a 384 format. As we continue to challenge our system we will present some of the results here. Recently we have been playing with experiments employing rubi-GABA, a caged GABA compound activated by visual wavelengths. 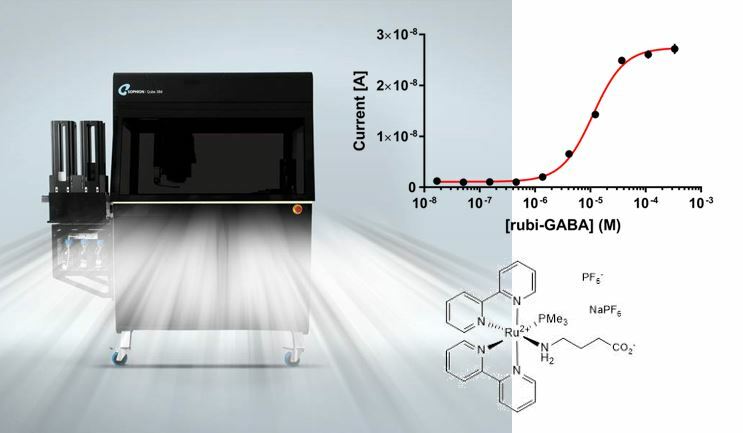 GABAAR mediated currents was elicited by optical uncaging of GABA in both a concentration and light dependant fashion.